Includes a 90 day warranty for parts and labor. 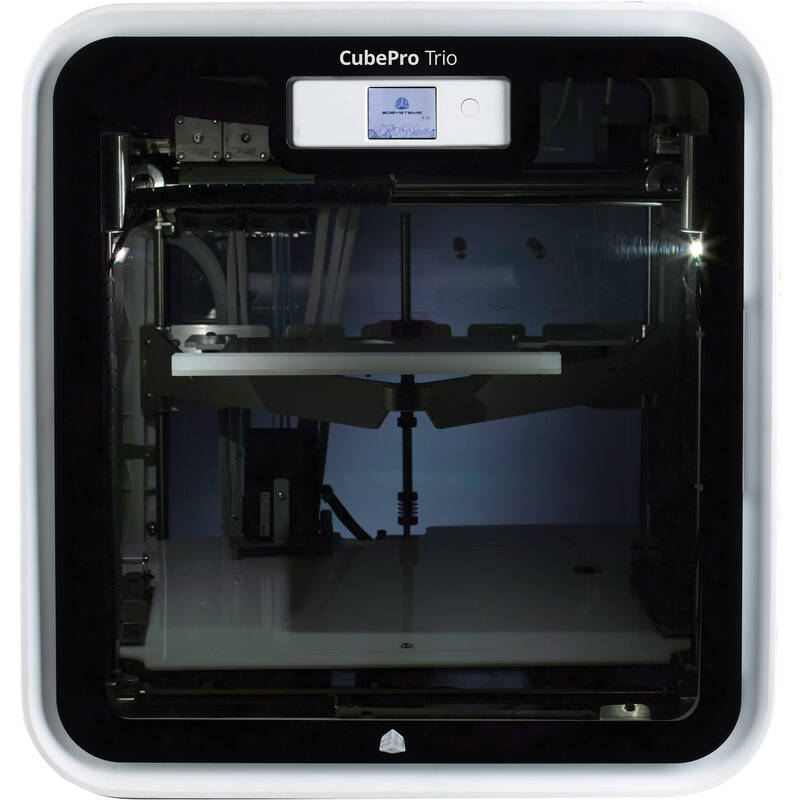 The CubePro Trio 3D Printer can print precise, fine, details at 70 micron resolution - thinner than a piece of paper. 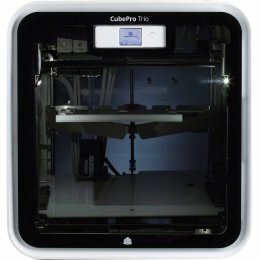 The cube pro trio has a triple head printer enabling it to print up to three colors of ABS, PLA, and Nylon materials. 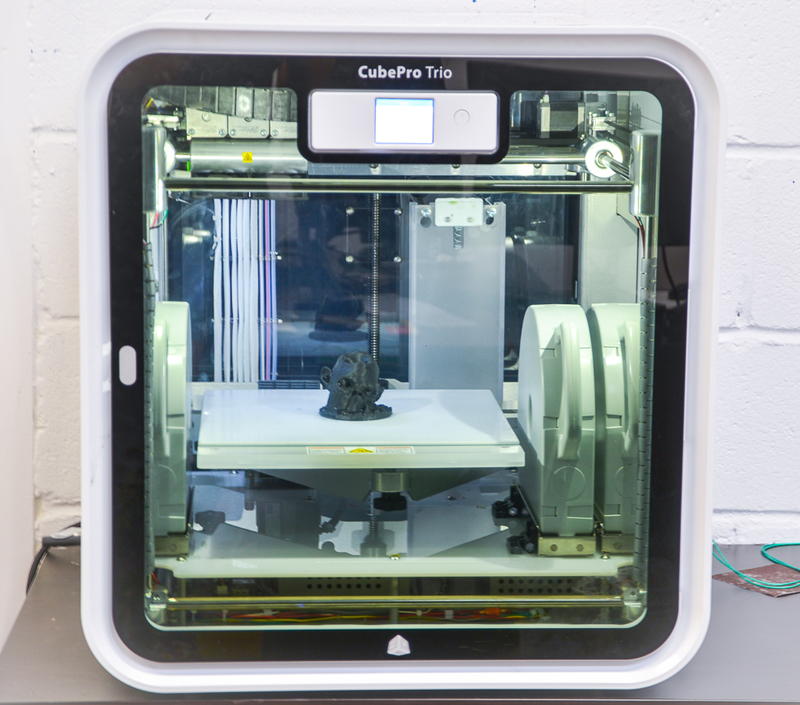 Use the Trio 3d Printer software to create your designs, or send them via wireless connection using any CAD software and the Cubeprotrio will convert your design. 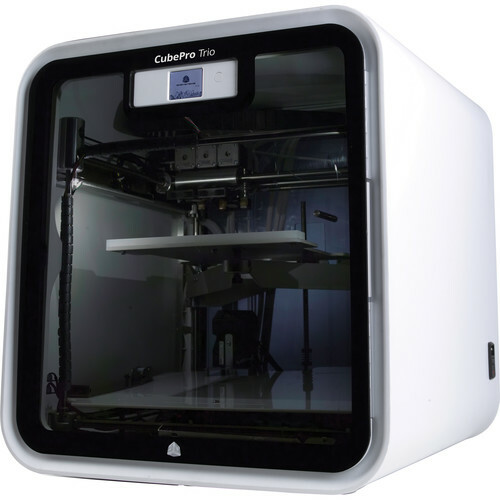 With over 20 designs to choose from, The CubePro Trio 3D Printer offers thousands of color combinations for your prints. 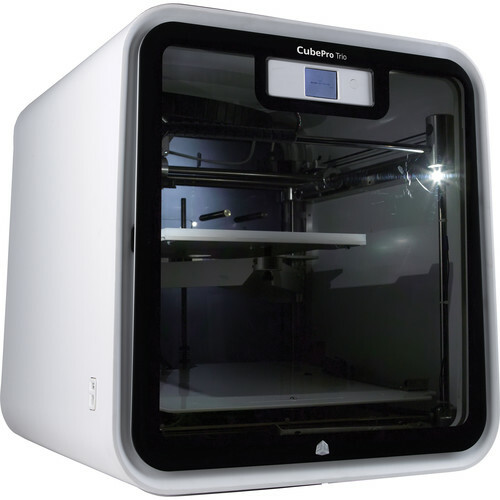 SIZE: 2.5 times larger than any other printer in the desktop prosumer and hobbyist market. Largest-in-class build platform. Prints professional quality parts in high-resolution 70 micron layers. CONTROLLED PRINT ENVIRONMENT: Create accurate and proffesional print quality. Automated settings ensures home-print safety. CONNECT: Easy to use color touch screen and WiFi capabilities. NEW MATERIAL-NYLON: Nylon is exceptionally durable and heat resistent. The CubePro also uses strong ABS and compostable PLA plastic. TRIPLE COLOR AND 3 MATERIALS + 25 COLORS = UNIQUE CREATIONS: Print simultaneously with 3 colors and 3 different types of materials, and select from 25 different colors. EASY FEED CARTRIDGES: Prolonged material life. PRECISE PRINTING: Precise printing at a 70-micron resolution or faster printing, at 300 microns, when such detail isn't necessary. 3 cartridges (red, white and blue) + 25 professional grade models included with your printer. 70 microns, 200 microns and 300 microns for fast mode. X and Y axis ± 1% dimension or ± 0.2mm (0.008" / 200 microns) whichever is greater. Z axis ± half the processed z resolution. Shrinkage and warpage can occur on models and is purely geometry dependent. Break away supports with pliers or cutters or just fingers where appropriate. PLA plastic is soluble in sodium hydroxide solution used with a heated ultrasonic cleaner (care is required with this option).